The Department of Petroleum Resources (DPR), on Wednesday, arrested a filling station owner in Abua, Danladi Eya, for operating an illegal outfit and selling petrol at N210/litre, which was far above the N145/litre threshold. Consequently, the officials dispensed 14,400 litres of the product free to motorists and motorcyclists to serve as a deterrent to the company and other recalcitrant dealers. 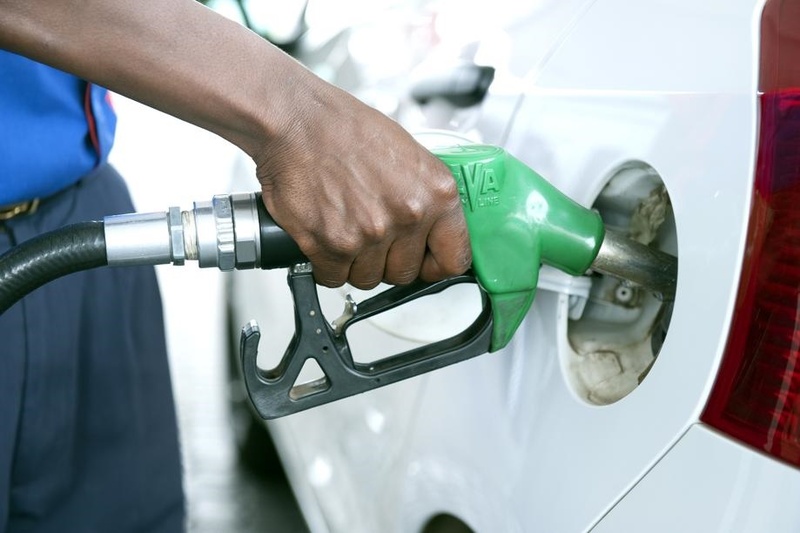 The illegal fuel station is located at Zauda on Gwagwa Deidei Road, Abuja and the operation was carried out by DPR’s Operations Task Force led by its Abuja Zonal Controller, Abba Misau. Misau, while briefing newsmen after the exercise said that the fuel station, which had no name, was clearly operating illegally in the area. "We came here based on intelligence gathering. We got information that there exists an illegal station that sells above the pump price. That is why we came to confirm and on reaching here we discovered that the owner was selling at N210. We look around, we asked of their license but they don’t have and they are selling the product to people. When I looked around, I saw that it is situated in an unapproved site. It is in the midst of a community and a filling station is not supposed to be sited there. "They have one case of illegal station and another is selling above pump price. Since we don’t know of their existence we have to start dispensing free. We don’t have their record. “We discovered that the storage tank has 14,400 and we decided to dispense to motorists and cyclists free. “However no sooner than we started dispensing that one of the staff went and disconnected the light while the machine was on. We will ensure that the security is beefed up and the area condone off the station until the exercise is completed,” he said. The Zonal Controller blamed the resurgence of fuel queue in the FCT on instability of product supply to Abuja and its environs. “But we have been given assurance by the PPMC that the product supply will be stable. Since the station is an illegal station, we will hand them over to civil defence to prosecute him and find out from the development control if they have any approval for it and if not it should be demolished. “Even if it has approval, we will advise that it is revoked for safety sake,” he said. Reacting, jubilant motorists hailed the DPR for the clampdown on hoarders, urging them to sustain the tempo. In unison, they claimed the owner had been selling above pump price since December 2017. The owner of the fuel station, Danladi Eya said he bought the fuel from the licenced marketer, even as he pleaded with the DPR for mercy. He insisted he took a facility from the bank to embark on the business when he could not get job as a graduate. "I am a Nigerian I need to survive I am a degree holder and cannot steal so I venture in to the business,” he lamented. The leader of Anti-vandal Squad of the Nigerian Security and Civil Defence Corps (NSCDC), Abuja, Ayinde Yusuf, said the owner of the station was arrested because he was operating illegally. He said the culprit would be prosecuted in accordance with the law of the land to serve as lesson to others.